With the recent Russian-inspired tragedies in eastern Ukraine and the war between Israel and Hamas in Gaza, much of the world is understandably focused on those regions. But another continent, Asia, is worth watching, particularly Chinese government action vis-à-vis Hong Kong. Some recent history: On July 1, a large protest, half a million people according to some accounts, gathered in Victoria Park to protest Beijing's plans for how Hong Kong's next Chief Executive, with powers roughly equivalent to a big city mayor or a colonial governor, will be selected. 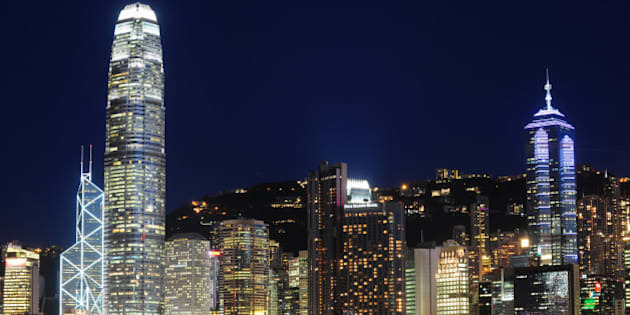 The Chief Executive has been an appointed position since Hong Kong was handed back to China by the British in 1997. But as part of several promises contained in the Basic Law (the Chinese-created constitution for Hong Kong), the "ultimate aim" is for the position to be filled via universal suffrage. Hong Kong's current Chief Executive, Chun-ying Leung, recently tried to reassure the public, saying that his position would indeed be elected by a popular vote in three years' time. But candidates will be vetted by a Beijing-appointed committee, thus the recent protests. The right to vote, desirable as it is, is no guarantee of peace and prosperity. Hong Kong thrived for much of history without democratic government. But those in Hong Kong quite properly trust themselves and their unique British-created system of law, independent courts and capital markets, over what emanates from Beijing. I was in Hong Kong last November, and in multiple meetings with many civil servants and a few politicians, almost everyone I met emphasized that they were absolutely committed to ensuring two things: that Hong Kong remains capitalist and that it will keep the common law legal framework. Also, most people hoped (and have ever since the handover) that China would reform in Hong Kong's direction. This is especially critical given ongoing and deep corruption in China including in the courts, bureaucracy and business world. The Hong Kong attachment to open markets and all the structures that under-gird it -- property rights, the rule of law, independent courts, transparency, and rooting out of corruption -- is no surprise. All of it has helped make Hong Kong an economic success story. Hong Kong, as many people might recall, has had a rather successful run of it over the last while --especially after the Second World War. On the other side of the border, China suffered from autocracy, civil war, revolution, and the economically backward and murderous policies of Chairman Mao. It wasn't until he died in 1976, and a successor, Deng Xiaoping, introduced economic reforms in 1978 that China had a glimmer of prosperity. Back in 1950, according to the late British economist Angus Maddison, per person GDP in Hong Kong amounted to $2,218 while the mainland Chinese equivalent was just $448 (in Geary-Khamis dollars, which allows for apple-to-apple currency comparisons). Back then, Canada's per person GDP was $7,291. By 2010, Hong Kong's per person GDP stood at $30,725, China's was $8,032, and Canada's was $24,941 (all figures are adjusted for inflation). No surprise then that Hong Kong has long been pegged as the most economically free jurisdiction on the planet. Historically, Hong Kong's good fortune had much to do with its luck to be a British colony for a time. Those living in Hong Kong benefitted greatly from London's light rule. The colonial power provided the sensible and necessary aspects of good governance: defence, independent courts, the rule of law, property rights, free trade, and low tax rates. And Hong Kong's government has also, since the 1970s, made a determined effort to root out corruption. Chinese rulers mostly understood this. It is why, after the 1997 handover, Hong Kong's Basic Law guaranteed a "one country, two systems" approach to the territory. For instance, Article 5 guarantees that the "socialist system and policies shall not be practised in the Hong Kong Special Administrative Region, and the previous capitalist system and way of life shall remain unchanged for 50 years." Article 8 promises British common law will remain in effect. Beijing's rulers and China's political allies in Hong Kong often say they intend to keep such promises. One hopes so. Mainland China has multiple problems, everything from choking pollution, poverty, corruption and multiple other difficulties. Beijing doesn't need additional self-created headaches in Hong Kong. Besides, if China wishes to thrive in the coming decades, its rulers, bureaucrats, business community and public will all need to imitate the Hong Kong way of doing things -- not vice-versa.